These three Rafale jets are not the ones that have been made for India by Dassault. Bengaluru: Three aircraft jets of the French Air Force landed in Bengaluru for the Aero India show which is scheduled for the next week. Top Indian Air Force (IAF) officers including IAF Deputy Chief Air Marshal Vivek Chaudhari are scheduled to fly the planes during Aero India show. According to reports, two of these Rafale jets will be used for flying exercises while the third one will be just used for static display. The advanced fourth-generation fighters landed at the Yelahanka Air Force Station on the outskirts of Bengaluru, where the 12th edition of the Aero India show will take place from February 20-24. Reportedly, these three Rafale jets are not the ones that have been made for India by Dassault. 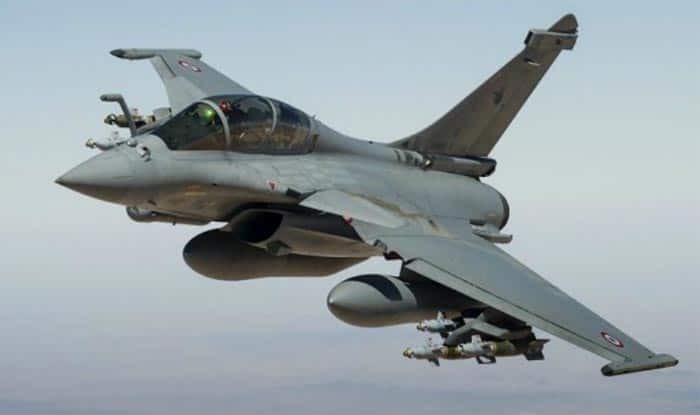 With the controversy raging around the Rafale deal, the Comptroller and Auditor General (CAG) report on Tuesday had claimed that the deal negotiated by the NDA government to procure 36 fighter jets was 2.86 per cent cheaper than the UPA’s 2007 offer. The deal was 17.08 per cent cheaper, said the CAG report, which was tabled in Parliament on Wednesday. The report brought relief to the Modi government, which has been facing fervent attacks by the Congress over the fighter jet deal. The Centre has repeatedly denied allegations by the opposition party in the Rafale issue. The Congress has repeatedly levelled allegations stating the government went for an overpriced deal for Rafale jets to benefit Reliance Defence’s Anil Ambani, who is one of the offset partners for Rafale maker Dassault. However, both Dassault and Anil Ambani have denied the allegations. Dassault is set to deliver four Rafale fighters to India in September this year which will be tested before being flown. These jets will partly replace the Russian-built MiG-21 fighters that are being phased out. The twin-engine, multi-role fighter can carry out attacks both air-to-air and air-to-ground.